If you know a thing or two about watches and watchmaking, you know about Renaud & Papi – named after Dominique Renaud and Giulio Papi. If you’re advanced, you might even know that the company they founded is now called Audemars Piguet Renaud & Papi. But not many know their story and how these two ambitious men grew their skills and the watchmaking industry at large. Young Dominique Renaud & Giulio Papi at the bench and in front of their freshly founded workshop in the 1980’s. Between 1970 and 1988, what was known as the „quartz revolution“ throughout the world, was known as the „quartz crisis“ in Switzerland. This event rendered many famous Swiss watch houses bankrupt, shrinking 1,600 producers to just 600 and 90,000 total employees to only 28,000. At that time, the two men you see in the picture above decided it’s the just the right time to start studying the art of watchmaking. These two men are Dominique Renaud and Giulio Papi. What connected them was their passion for skeletonized watches and grand complications. When they were told that if all goes well, they’ll be able to work on grand complications after about 20 years of practice, they decided to respectfully quit their jobs and started a watchmaking laboratory of their own, instead. They registered their company, created their manufacture in Le Locle, and became officially known as “Renaud & Papi SA” in 1986. Dominique Renaud looks into the distance and contemplates his future. 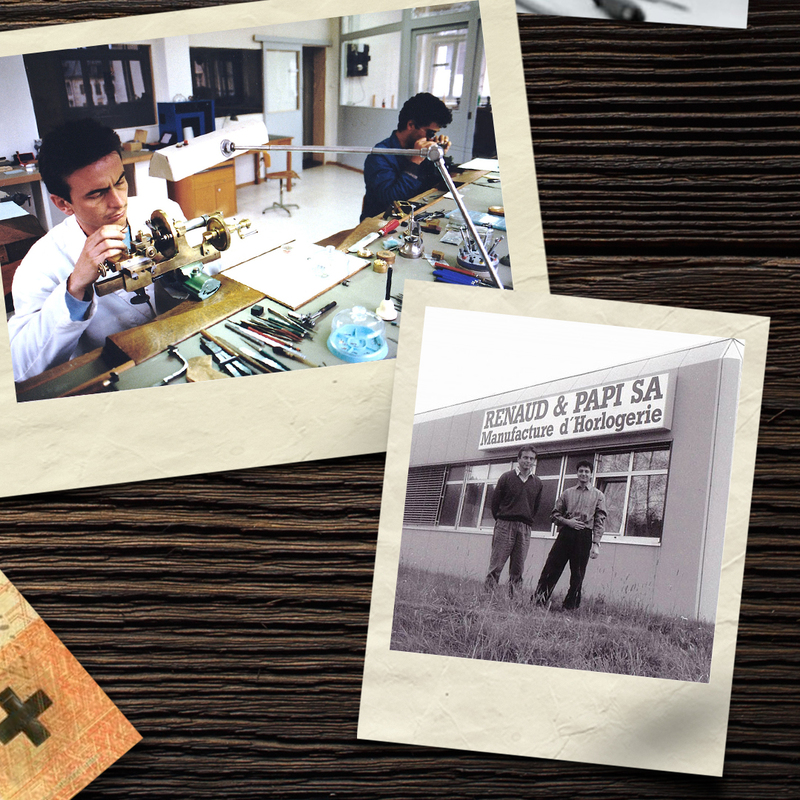 After Renaud & Papi established their own workshop, focusing on the study of new horizons of watchmaking – they were, given their conditions, surprisingly successful. The head of IWC and Jaeger-leCoultre, plus highly connected to A. Lange & Söhne at the time – Günter Blümlein was the perfect customer to start their first project with. Young Dominique and Giulio looked at him like students look at a mentor. Blümlein commissioned Renaud & Papi to create a minute repeater module for the IWC Grande Complication, which was introduced in 1990. The project was well received – Even Robert Greubel was a part of the team. After their success with the IWC Grande Complication, Renaud & Papi broadened their manufacture and expertise but managed to completely pulverize their capital in the process. They were in trouble, and even the banks didn’t want to help them out. To speak with their previous employer – Audemars Piguet. Luckily, the CEO of AP understood everything agreed to help them out, but under one condition – they’d sell a 52% stake in the company to Audemars Piguet. Renaud & Papi agreed and went forward with the deal, even making a complete minute-repeater movement for AP. 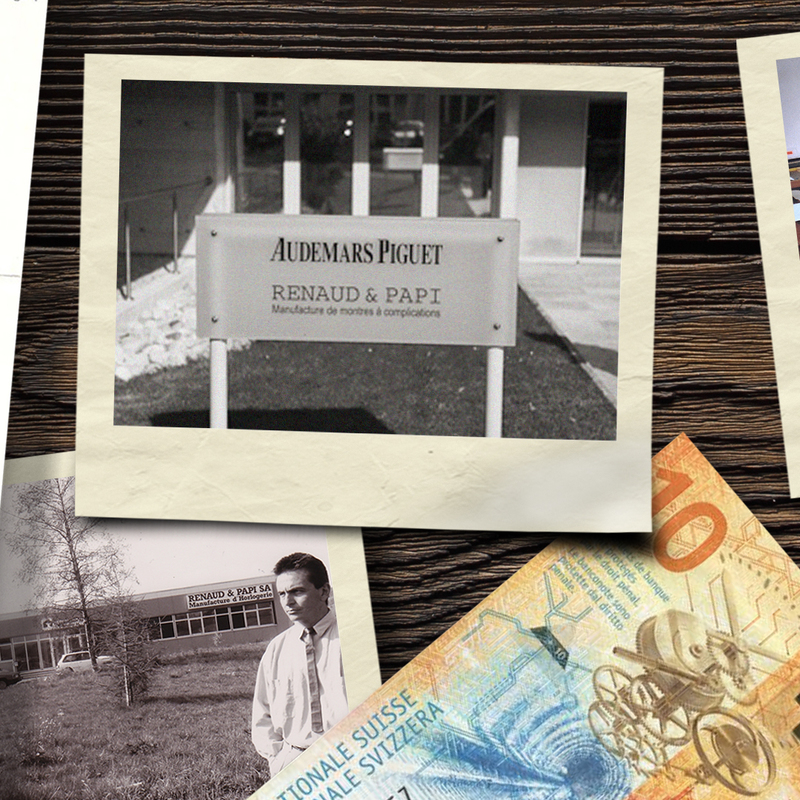 After this acquisition, though, Renaud & Papi became know as Audemars Piguet Renaud & Papi – in short: APRP. Another one of their projects, given to them by the late Mr. Blümlein, was a constant force escapement for A. Lange & Söhne, similar to the ones used in old chronometers. They had a variety of projects going on, while AP was, bit by bit, transferring the complex movement research and development to Le Locle as well. 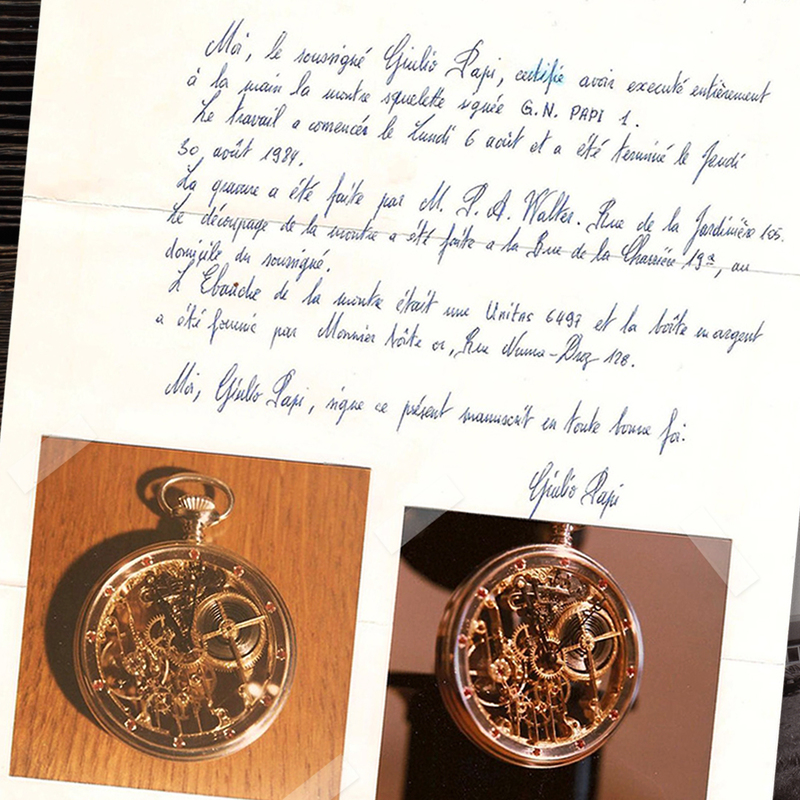 The watch that Giulio Papi presented to Audemars Piguet in 1984 before he got his first job. In it, he used a well-known Unitas 6497 movement, which he skeletonized to literally display bare, well-decorated bones – all that while retaining its structural integrity. Giulio Papi found himself at the helm of Audemars Piguet Renaud & Papi as technical director. What helped him enormously was the fact that he was the only student studying to be a watchmaker at that time – therefore had exclusive access to his teachers’ attention and knowledge. The first winner of the Gaia Prize in 1993, Jean-Claude Nicolet was one of his teachers. Giulio now got busy working with chemical engineering and metallurgy to develop new alloys that would retain their structure, be immune to temperature changes and have antimagnetic properties. His most famous result? The Alacrite 602 alloy, which is composed of tungsten (5%), chromium (31%) and cobalt (57%), plus iron, silicon, and carbon. 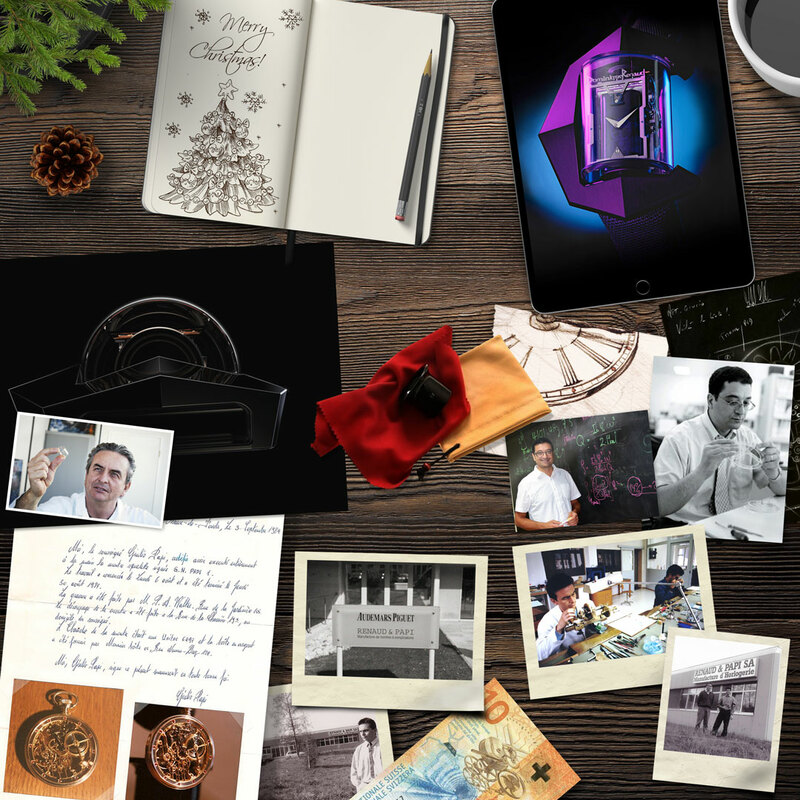 He created the first Audemars Piguet Royal Oak Concept GMT Tourbillon. 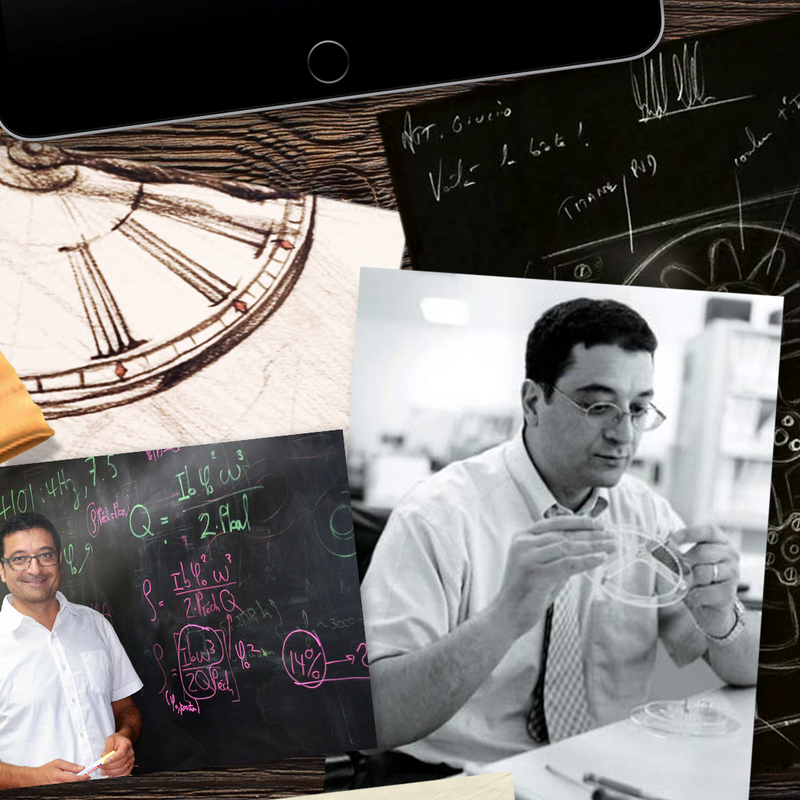 He created an Audemars Piguet Grande Sonnerie, he even created a lubricate-free escapement based on the eighteenth century Robin escapement – he became a technical mastermind that other watchmakers would turn to with their new ideas. 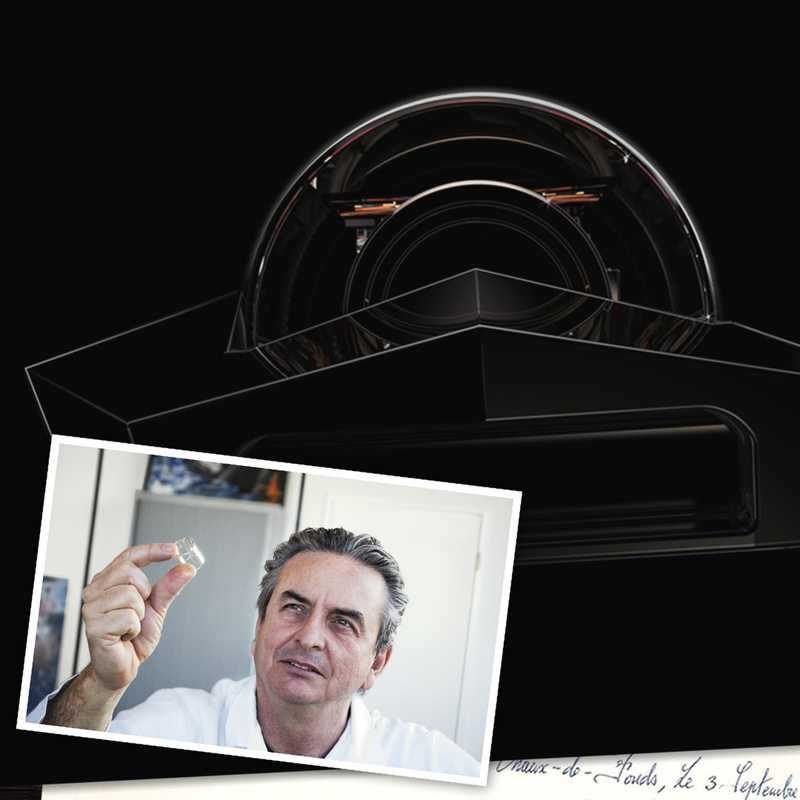 Where has the field of fine watchmaking come since Dominique Renaud and Giulio Papi parted ways? In 1997, the watch distributors in Singapore started to flood the global market with watches that were up to 50% cheaper than their suggested retail price. Why? Because Thailand went bankrupt and sent ripples through the Asian economy which made the Singaporean dealers fearful. Ironically enough, Singapore was one of the least affected countries on the whole continent. As a response to that, Swiss watch brands started buying their own distribution and changed the business side of the industry which had remained unchanged for hundreds of years. The great-grandson of Adolph Lange – Walter Lange, had successfully re-established A. Lange & Söhne together with Günter Blümlein and the company became a part of the Richemont Group in the year 2000. They started competing with none other than Patek Philippe, as their quality of work was truly remarkable. Walter Lange died in 2017 at the age of 92, leaving behind a legacy that is highly valued. Cartier dipped its toes into fine watchmaking with two collections. The first of them was “Collection Privée Cartier Paris” that was continued from 1998 to 2008, but ultimately failed due to production issues arising from outsourced manufacture and bad timing – the market wanted in-house movements. Thus the “Fine Watch Making Collection” 2008-2018 opened with a big bang at SIHH 2008 – now containing in-house movements. The problem? Cartier had always been known for discreet and elegant details, but decided to disregard these distinctive qualities to boast case diameters of up to 47mm, taking the large watch trend a bit too seriously with “The Fine Watch Making Collection”. Regardless to say, these watches decreased in value faster than the birds could fly south the very same year and you can find the $95,000 retail price watches for around $15,000 today on Chrono24. Was Cartier just early, or did they miss the mark completely? Only time will tell. The few recent decades have brought with them an array of notable new approaches to watchmaking. With additional brands such as URWERK, Richard Mille, HYT, MB & F, and Krayon, the unbeaten paths that yearn to be uncovered. The return of Dominique Renaud. But in 2013, out of the blue, Dominique Renaud returned to Switzerland with a phenomenal concept. A brand new watch, a revolutionary movement. An escapement system that replaces the balance wheel with a completely new approach: a blade. That’s what the industry was presented with upon Dominiques’ return. This new balance system resonates in high frequencies while resting on a double-sided blade. 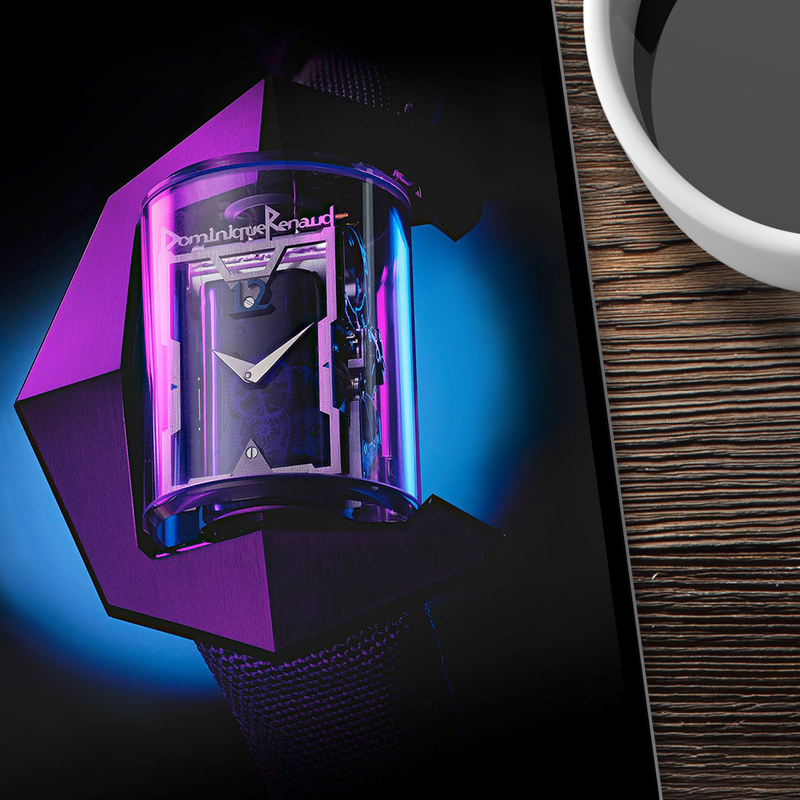 What you see above is his Dominiques’ teams’ first watch – the Dominique Renaud 12. 12 watches of this model will be produced and sold with the aim of investing all the proceeds into research and development in order to further improve the capabilities of this new type of escapement. This all stands to confirm that we’ll most likely see some astonishing developments in the field of watchmaking in the near future. Who knows what this could mean for watchmaking in the long term? How will the rest of this story unfold? Only the passing of time will tell. The fact of the matter is that Giulio Papi has used his technical prowess to continue building Audemars Piguet Renaud Papi to what we know and value today. At the same time, Dominique Renaud has secretly been busy developing a wholly new escapement system which is like nothing we’ve ever seen before. What will the next chapter in this story have in store for us? What developments will be brought to light and where will these two men take horology? We’re yet to see. 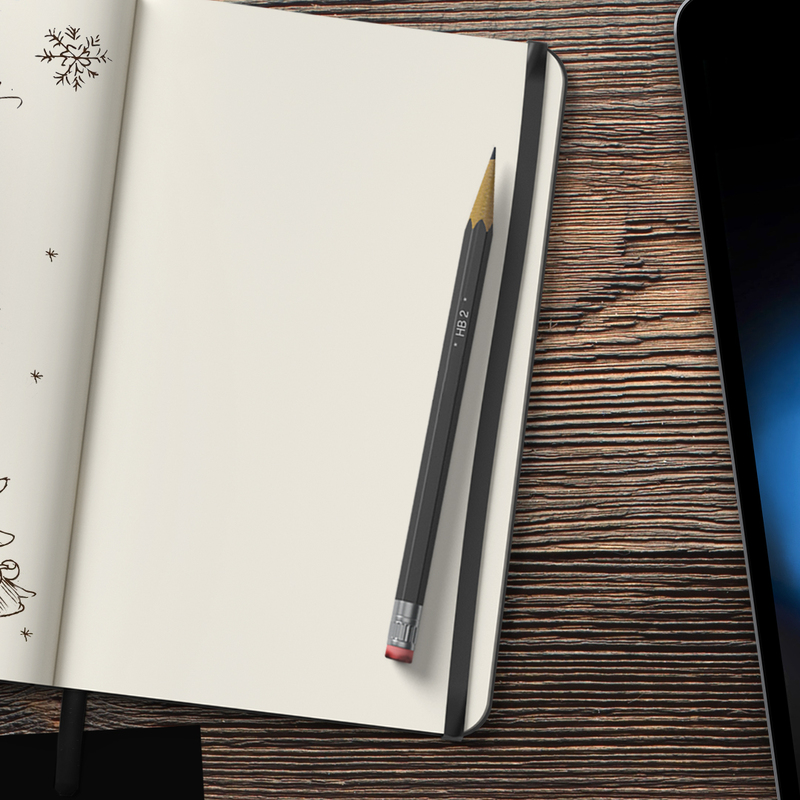 Therefore, an empty page sits as an invitation to the next chapters that Giulio Papi and Dominique Renaud will write with their lives. Holiday greetings from Smell of Metal. Will Renaud & Papi ever cross paths again? 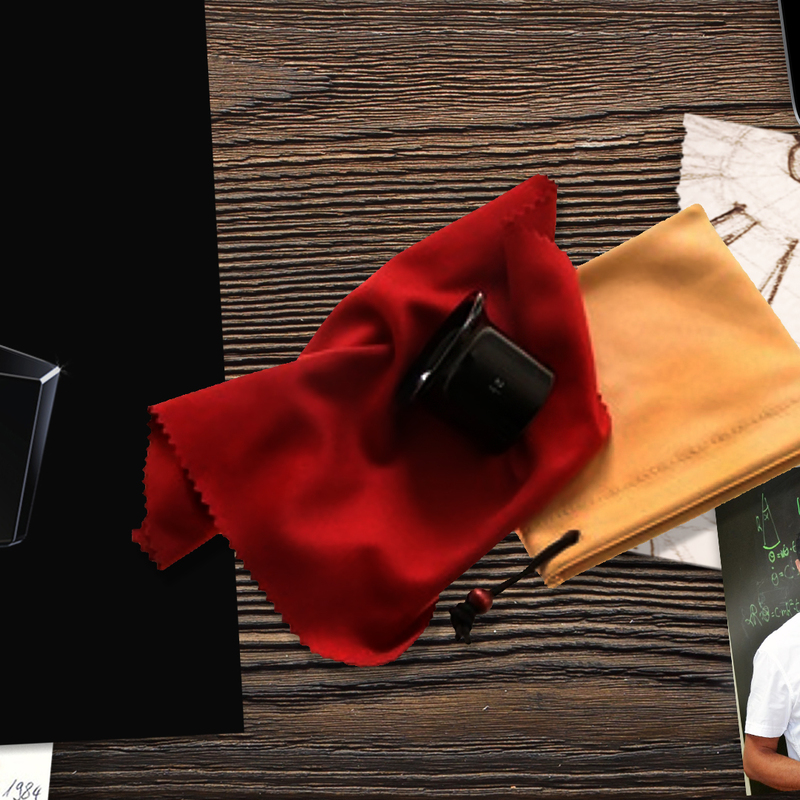 The unfolding of this story can only count for the fact that life is full of unexpected plot twists, but one thing is for certain: the love for horology is what keeps this field constantly evolving. These evolutions bring along technical, as well as aesthetic developments which shall delight the hearts and minds of people around the world today, and for many years to come. 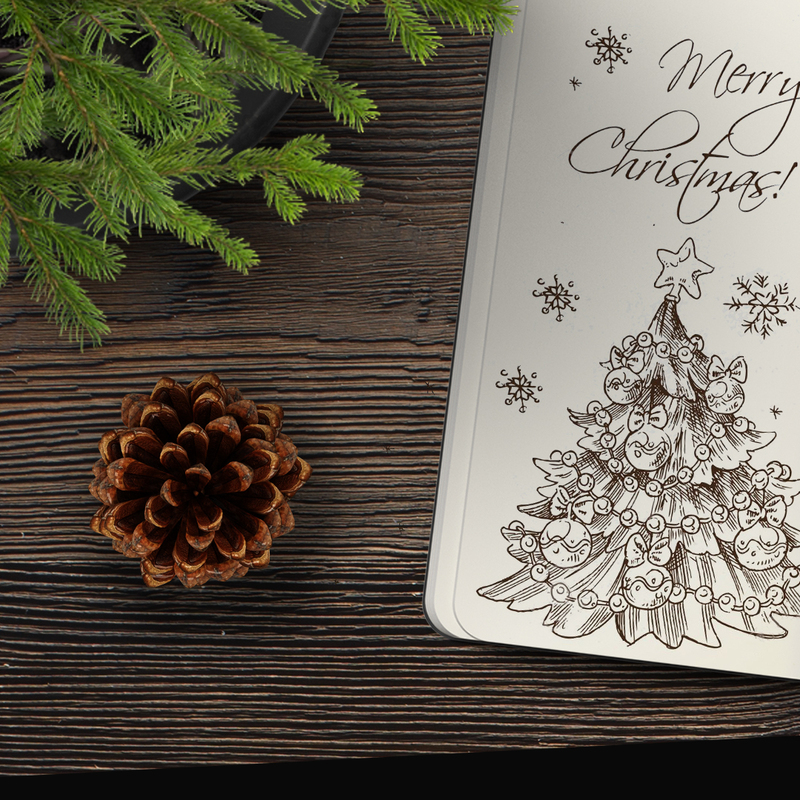 Merry Christmas and a happy new year to all our readers and friends!